Since 1992, Signature Beverage Distributors has been providing quality Private Label spring water and pure cane select sodas at an affordable price. We service many clients in the New York-Metro area, as well as the entire Northeastern United States and strive to provide our clients with the best possible service. We care about our customers, and that’s why we only use the purest quality spring water, always free of sodium, chemicals and contaminants, as well as BPA-free bottles. In fact, our water has the distinction of having been recognized as one of America’s premiere water companies, according to the National Sanitation Foundation. 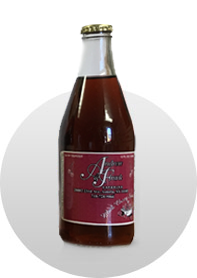 We print custom labels on beverages for a broad audience from businesses, schools, to events and special occasions using high quality and water proof printing methods. Check out our options below. We have a large array of clients, from restaurants and hotels to schools and more, who have come to realize the marketing potential of having their own name or logo on their beverages. Bottles won’t collapse in your hands! 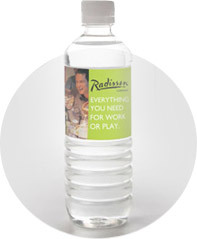 Private Labels and Branded Labels are not limited solely to water. We offer private labeling options for sodas, as always assuring the client the same high quality and options available for our water bottles. 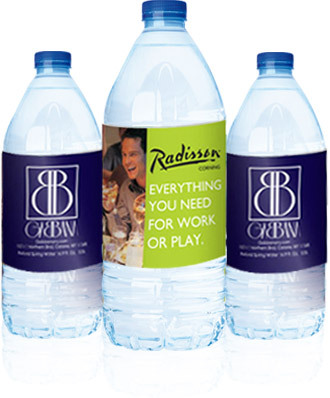 Businesses sometimes need water to promote their branding, for product launches, corporate meetings, retreats and more. We can place your business, church, music band, or any other brand on our bottles. 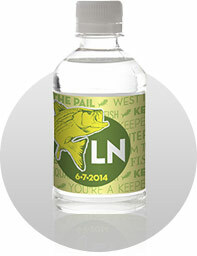 Private and special events can be made even more memorable with our custom-label water bottles. Our labels can accentuate any special occasion. Great for weddings, and Sweet 16/Bat Mitvah give-a-ways. We offer design services and in our office we meet with many customers per week. Water is essential in our conversations, and the reactions we get from the customers when they see our custom label design on the bottles is priceless. © 2019 Signature Beverages All Rights Reserved.